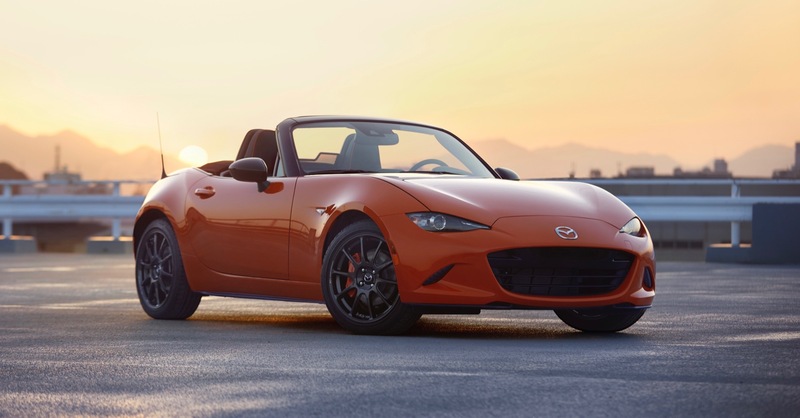 A few days ago Mazda unveiled the 2019 Mazda MX-5 Miata 30th Anniversary Edition, but if you were hoping to get one, you’re out of luck. 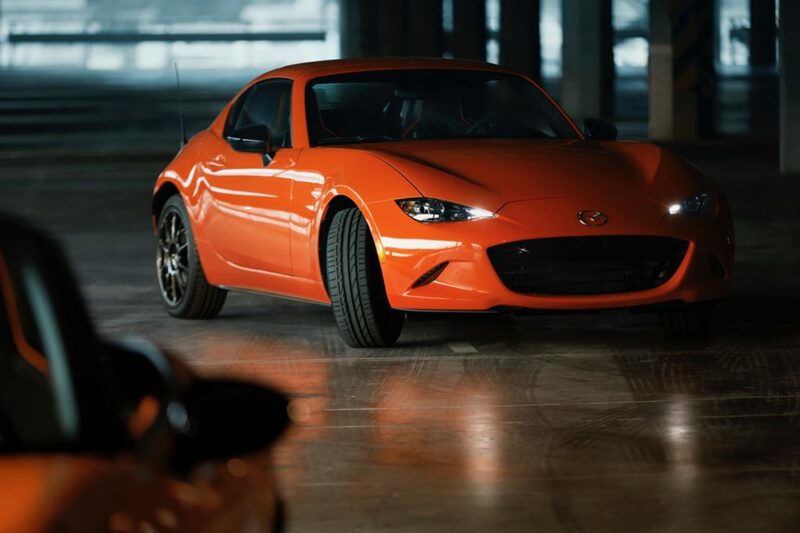 Mazda has announced that the 500 units that it planned for the US sold out in only four hours. 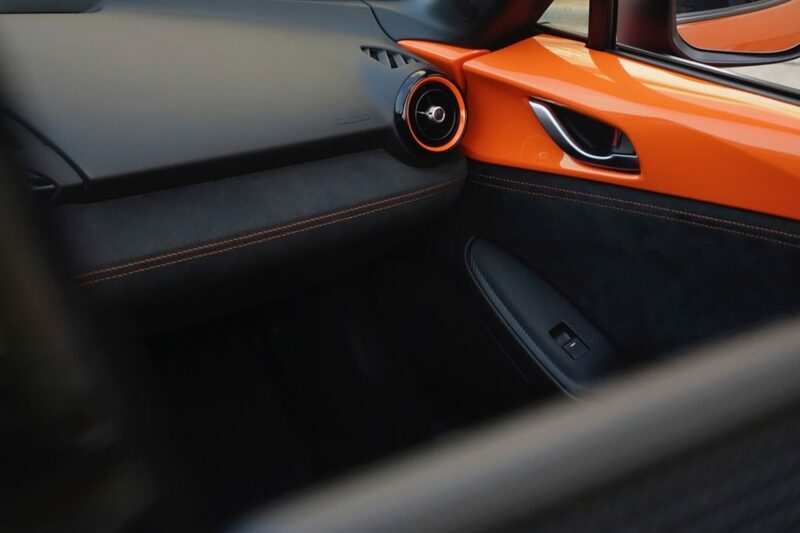 After it unveiled the 2019 MX-5 Miata 30th Anniversary Edition at the Chicago Auto Show, Mazda started taking reservations for the limited edition MX-5 Miata. 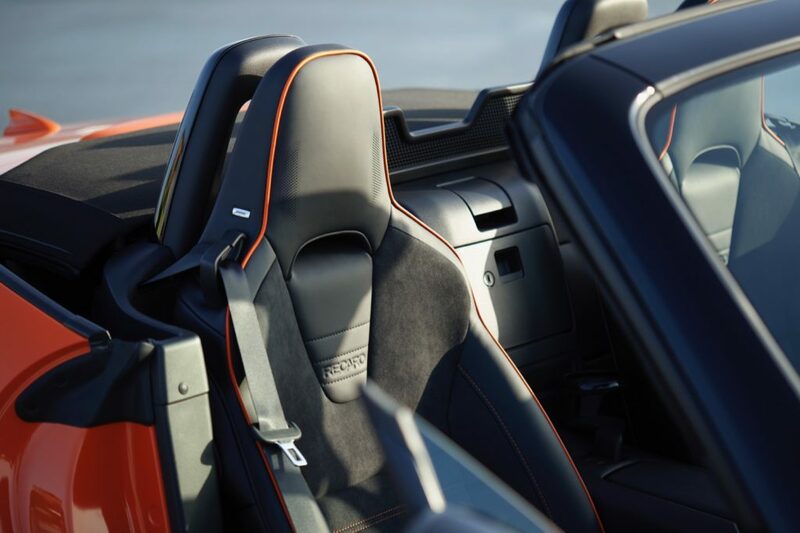 Mazda received 100 reservations in the first 15 minutes and within the first hour 250 units had already been spoken for. 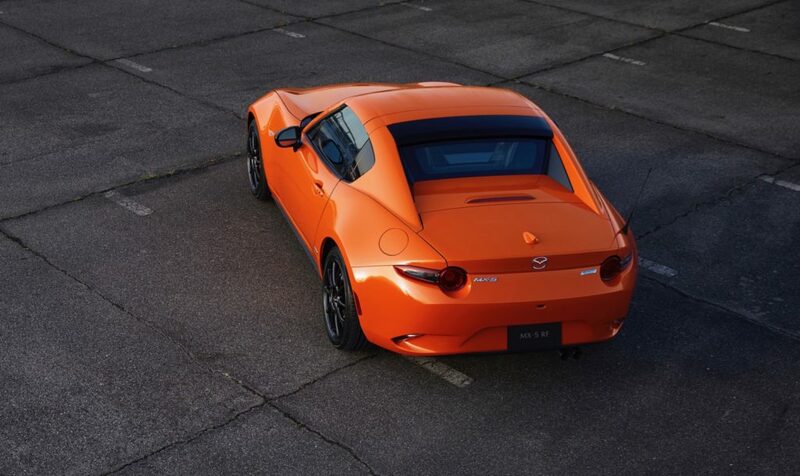 The 2019 MX-5 Miata 30th Anniversary Edition is painted in a unique Racing Orange. 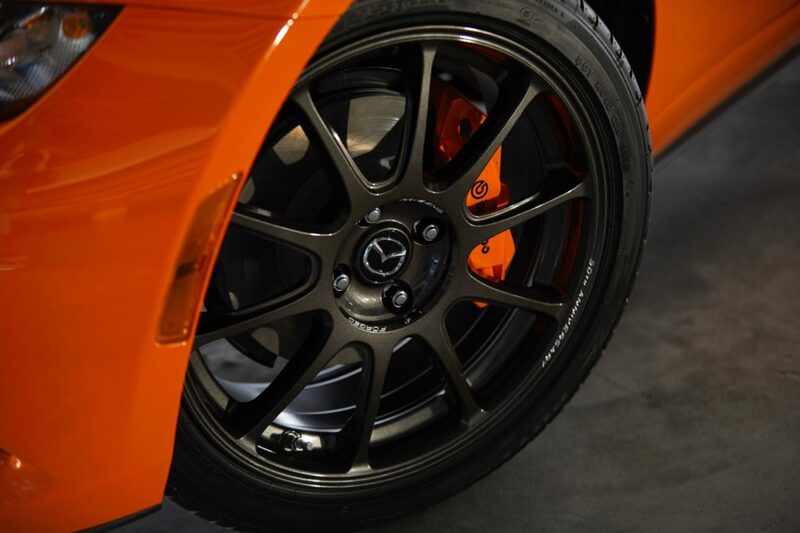 In addition to the unique orange exterior, it also gets Rays forged aluminum wheels, orange brake calipers, Bilstein dampers and a 30th Anniversary badge. 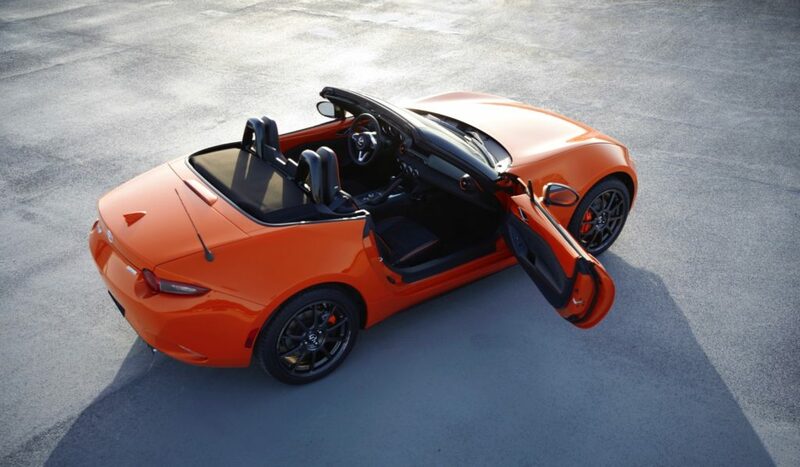 The limited edition 2019 MX-5 Miata 30th Anniversary Edition is available in both the soft top and RF body styles. 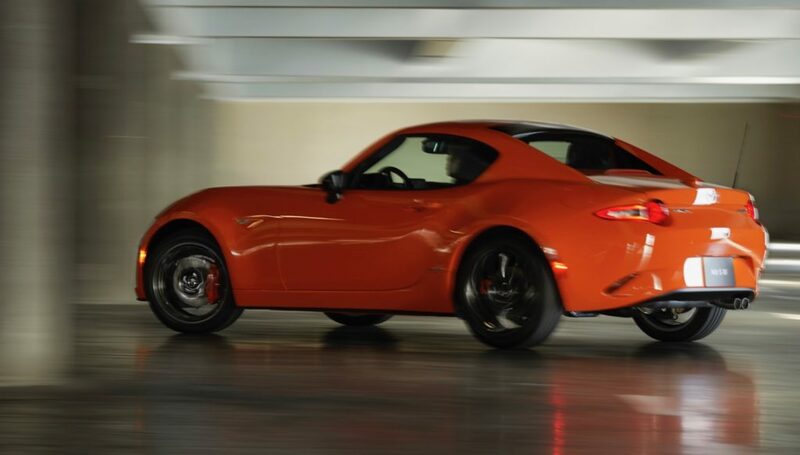 Mazda says that 60 percent of the orders were for the soft top version and 87 percent of buyers chose the manual transmission over the automatic. 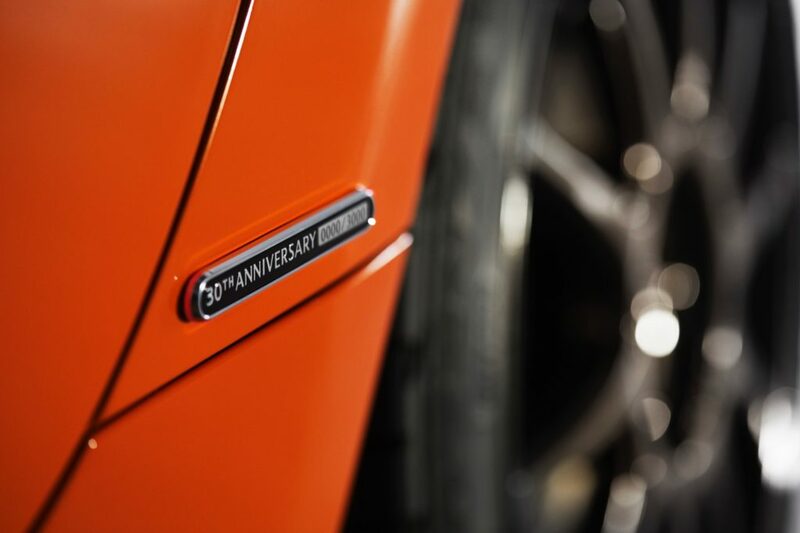 There’s currently a waitlist now, but Mazda hasn’t announced if it will allocate any addition units to the US. 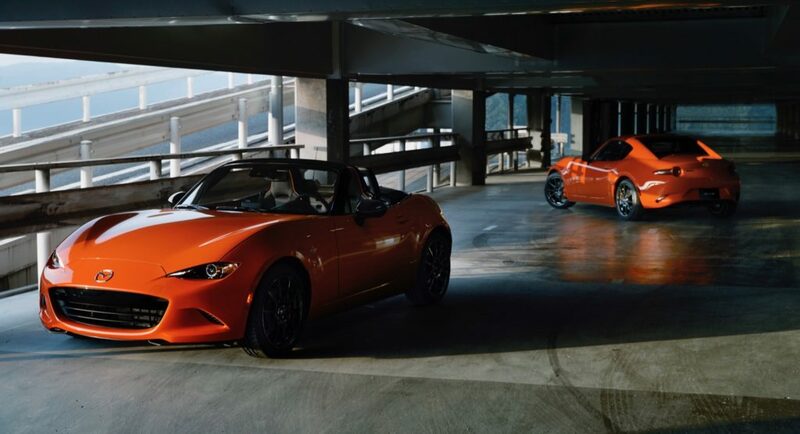 Mazda only plans to build 3,000 units in total, which will be sold worldwide.